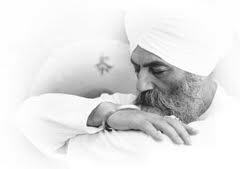 Recently someone casually asked me why we wear white, as teachers of Kundalini Yoga. Here is a short passage from my upcoming book, in which I explore the significance of this color. I didn’t count on the way it would make me feel and the way it would uplift my own presence, as well as that of others around me. White projects an air of purity and neutrality. It is why Rabbis wear white on Yom Kippur and why doctors wear white. It is why, in biblical passages, it is the color of the divine. It is expansive, rather than protective; limitless—like infinity itself, rather than contained; endless, as the compassion and forgiveness we are expected to embody as teachers, and unbounded, like the very essence of our being. In its interminable reflectiveness, it leaves you no choice but to appear, to totally show up, rather than check out, overriding any habitual inclination to hide away, as if under a dark, defensive cloak of protection. I didn’t count on the way it would evoke a certain refinement of my thoughts and actions and my general comportment. Donning the color that is universally held up high and waved humbly as the symbol of truce, it is the mark of our own transformation. And like that waving symbol of peace, it is the emblem of our own ongoing new beginning. This entry was posted in Uncategorized and tagged Kundalini Yoga, teaching, white, writing, Yogi Bhajan. Bookmark the permalink.